We are often asked by customers about the process that goes into repairing dents or hail damage in their vehicles. Our response to this question always depends on many factors as each repair is unique. The methods used to repair a vehicle will vary depending on the make and model of the car, the condition of the paint and the location of the dents. Different car manufacturers have different processes for bracing the panels on their cars. Panel bracing provides structural support to your panels, but may also prevent Paintless Dent Removal technicians from being able to massage dents out from the inside of the panel. Dents behind braces may need to be removed using other methods such as the glue pulling method. This method allows our technicians to remove dents from the outside of the panel and is particularly helpful for removing dents from areas that are hard to reach from behind the panel with conventional tools or areas on panels that are directly over bracing. In addition to using different bracing structures, car manufacturers also differ in the metal they use to construct the panels on their cars. Panels are often made out of steel, high-tensile steel or aluminium, and the techniques required to repair each type of metal varies. Steel panels are the softest and can often be repaired using standard tools. High-tensile steel and aluminium are less malleable and often require different techniques and tools that apply more pressure to massage the panel back to its original shape. Our expert technician’s vast experience means that he knows which tools and techniques are required to achieve outstanding results every time. Believe it or not, even the quality of the paint on your vehicle needs to be considered by our technician when he is planning how to repair your dents. If your car has been repainted or if the paint on your car is in poor condition, our technician will need to inspect the paintwork carefully to ensure the correct dent removal technique is used. What Is The Hail Repair Process For A Car? Before your car is repaired, it is assessed using specialised equipment and our technician’s trained eye. Thoroughly assessing your car before the repair is carried out ensures our technician is able to plan the best approach to restoring your car to its pre-dent condition. Hail storms do not discriminate when it comes to which panels on your car are dented. As a result, dents are often found in places on your vehicle that are less-than-convenient to repair. 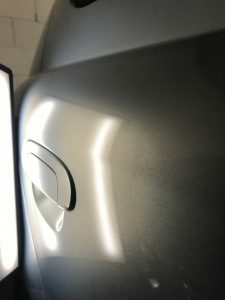 Places that are harder to access and repair using traditional panel beating methods such as cant rails, the middle of the roof and the top of a hatch door, can be quickly and easily repaired using specialised Paintless Dent Repair techniques. Our highly skilled technicians use specialised tools and a variety of techniques to ensure your car is perfectly repaired every time without damaging the original paintwork on your vehicle. To access dents located on the roof of your vehicle, it may be necessary to remove interior trimmings and the hood lining of your car. This process does not cause any damage to your vehicle and provides greater access for our technician to repair dents from the inside of your car. Removing and properly reinstalling the hood lining and interior trimmings of your car requires a comprehensive knowledge about how cars are constructed to ensure that your car is safely returned to its pre-repair state. Our technicians have been working in the automotive industry for decades, so you can rest assured your car is in good hands. Tailgates, hatches and bonnets may also be removed from your vehicle to provide greater access to those hard to reach dents. 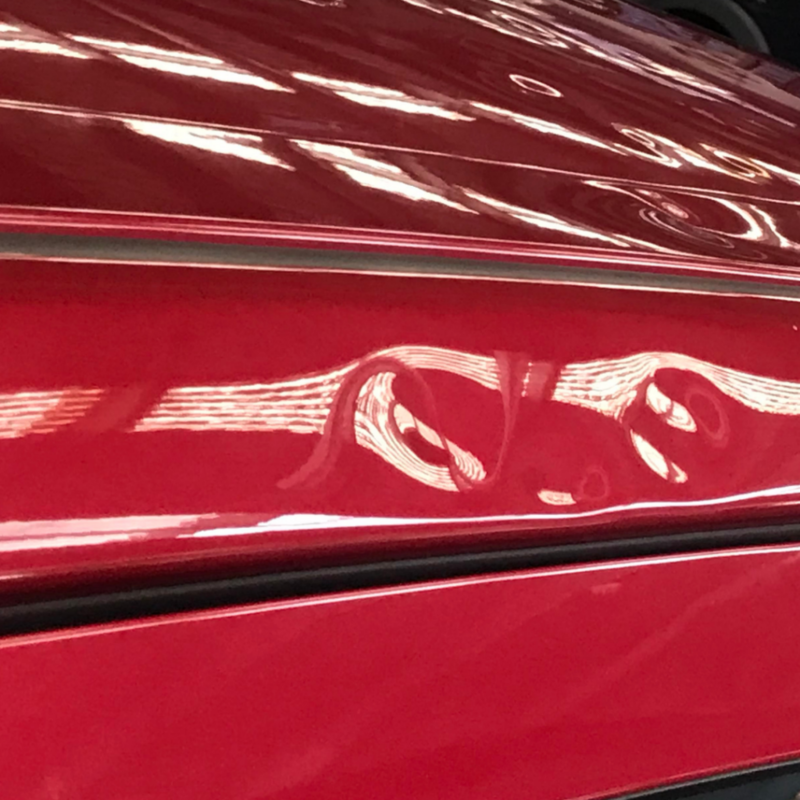 Once removed, these panels are securely placed on specialised stands which allow our Paintless Dent Removal technicians to perfectly restore them. Once repaired, these panels are carefully refitted to your vehicle with your ongoing safety in mind. The truth about car hail damage…what you need to know! Hail storms show no pref erence for which panels they damage on a vehicle. It is the severity of the storm and the size of the hail stones that determine the extent of the damage. 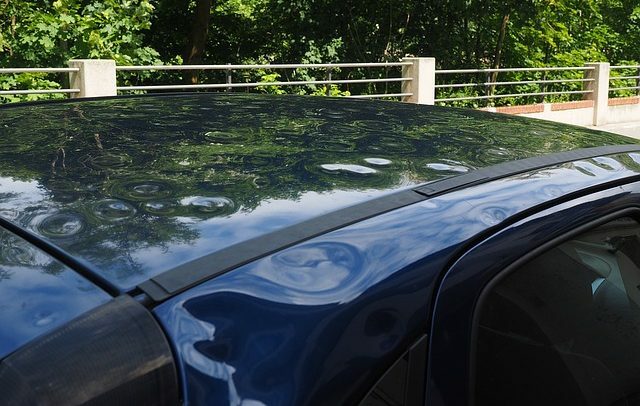 While the roof, boot and bonnet are directly exposed to hail, hail storms that are combined with strong winds can damage every panel on a car. 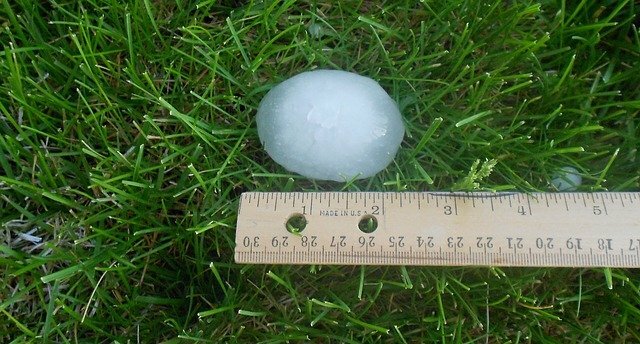 Small to medium sized hail stones can produce dents that can easily be repaired using paintless dent removal techniques, while larger hail stones can smash windows and damage panels beyond repair, leaving no other option than to completely replace the panels. In some cases, the damage can be so severe, that vehicles cannot be repaired at all. Many people believe that hail damage can only be fixed by a panel beater, but this is not the case. Hail damage to a vehicle is best repaired by a paintless dent removal specialist. Even if you take your car to a panel shop to be repaired, in most cases the panel shop will immediately contact a paintless dent removal technician to come in to complete the work. 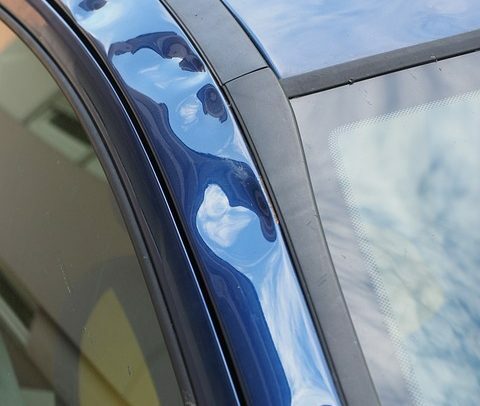 The most convenient and hassle free option for any customer with a hail damaged vehicle is to contact a paintless dent removal specialist directly. By contacting PDR 2U, you will be s ure to receive expert advice and the highest quality customer service. Whether you have one hail damaged car or many, our technician will come to you at your home or workplace to give you a quote. This saves you dropping your car off at a panel shop for the day just to get a quote! If you are making an insurance claim, no problem! The team at PDR 2U will make the process simple and convenient and will do most of the work for you. 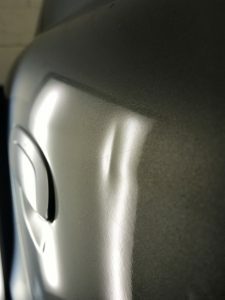 When hail dents are removed from a vehicle using paintless dent removal techniques, the factory paint finish on your vehicle is maintained. There are two paintless dent removal methods our technicians use when repairing hail damage. The first technique involves working behind the panel with specially designed tools to gently massage the dented metal back to its original shape. The second method uses a gl ue pulling system to remove the dents from the front of the panel. This method is often used in areas where there is no access available to the back of the panel. Both techniques bring your panels back to their pre-dent condition without affecting the paint on your vehicle. In contrast, when a panel shop repairs hail dents using traditional panel beating methods, your vehicle will end up with dents that have been filled with bog and painted over. This may leave your vehicle looking great in the short term, but leaves the factory paint finish compromised. Have you ever wondered how you ended up with that annoying dent on your car? There are many ways that a vehicle can end up dented, often without the owner even knowing it has happened. It can often be difficult to determine how your car was dented and what you can do to avoid car dents in the future. After speaking to hundreds of customers, I have noticed a few causes of car dents that have become recurrent issues. In shopping centre car parks, trolleys and other drivers carelessly opening their car doors onto neighbouring cars have proven to be the biggest car dent culprits. While it is often hard to avoid carpark mishaps, there are a few precautionary steps you can take to avoid dents in your vehicle. When choosing a place to park, try parking away from the majority of vehicles. This will reduce the chance that a driver will park immediately next to you and accidentally open their door onto yours. Parking further away also minimises the risk of stray trolleys running into your car while you are not there. The same rule applies to other areas with high foot-traffic, such as school car parks. Children and other pedestrians will often carelessly walk amongst parked cars, accidentally hitting them with items like school bags and sporting equipment, resulting in frustrating car dents. While you cannot control how other people choose to park, you can choose how you park your own car. Parking straight and in the middle of the parking bay maximises the amount of room on each side of your car. This reduces the chances of someone opening their door onto your vehicle causing a car door dent. Although this may seem obvious, taking the time to park correctly really can make all the difference when it comes to preventing dents. At home, car dents often happen when objects hit the car while it is stationary. Keeping your car garaged can prevent unwanted objects from coming into contact with your vehicle. By garaging your car, it will be protected from everything including falling tree branches, stray cricket balls and even hail. It also prevents other drivers and pedestrians accidentally damaging your car when you are not there to protect it. Just make sure that when your pride and joy is in the garage, you do not store items such as surfboards and bikes near your vehicle where they could fall on or against it. While it is always better to do all that you can to prevent car dents, we all know that accidents still happen. 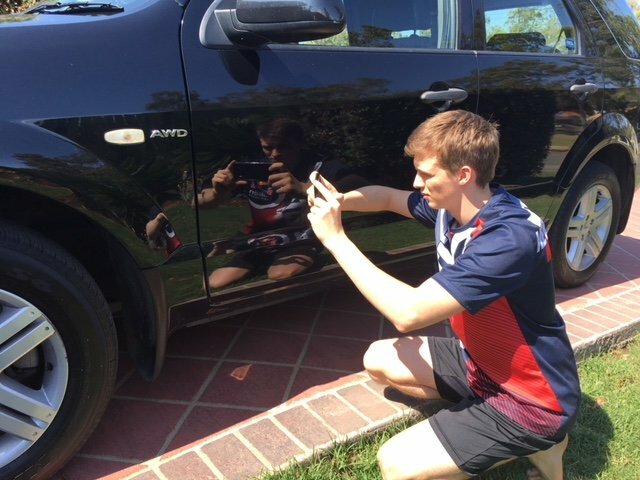 If you do end up with a dent in your car, it is important to remember that Paintless Dent Removal is a quicker and cheaper option than taking your car to a conventional panel beater. PDR 2U offers a mobile paintless dent removal service, making your dent repair as quick and convenient as possible. We also make sure your factory paint finish is maintained. In addition to catering for personal and private vehicles, PDR 2U also offers a comprehensive service for fleet vehicles. Our team is able to deal with everything from day-to-day door dents to large scale hail repairs for tens, or even hundreds of vehicles at a time! 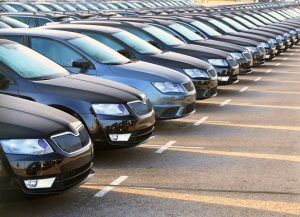 For fleet vehicles that have been leased, PDR 2U can ensure that your vehicles stay dent-free, so that you do not receive any nasty fees when returning your vehicles. Choosing PDR 2U to look after your fleet has many benefits over using a traditional panel beater. We have the ability to offer on-site repairs at your convenience and in most cases, a same day repair. Additionally, all our paintless dent removal work comes with a lifetime guarantee. For large-scale hail repairs, our experienced team is able to work on-site or alternatively we can organise an off-site location for vehicle dent repair, ensuring that our work does not interfere with yours. We understand that being without fleet vehicles can be an inconvenience. Therefore, we have the ability to restore large numbers of cars to their pristine condition with quick timeframes. Our goal is to make the process of repairing your fleet vehicles as convenient for you as possible. Following the Brisbane hail storms in late 2017, the skilled and experienced team from PDR 2U quickly and efficiently repaired more than 200 vehicles for three different fleet customers. All vehicles were repaired to immaculate condition. Each customer had different needs and the PDR 2U team exceeded expectations every time! Our competitive pricing ensures you receive value for money along with outstanding workmanship when you choose PDR 2U to look after your fleet. We are able to offer free quotes upon inspection for all dents and hail damage, ensuring that your vehicles are back on the road in their pre-dent condition in no time at all! 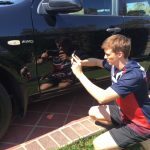 Repairing dents In Your Car Yourself – Should You?